I will most likely vote third-party in November’s general election — as I have in each of the last three Presidential elections — but with this Tuesday’s Ohio Primary, I’ve given careful consideration to my vote and decided that I will be casting my ballot for John Kasich. Why would I vote this way? And why would I bother to share my voting decision with the rest of the world (when I rarely express political views in public)? My rationale is part ideology, part pragmatism, and part personal preference. My ideological perspective is driven by grave concerns over the rhetoric of Donald Trump’s campaign for the presidency — and the way that other Americans are responding to that rhetoric. I’ve got serious, long-standing issues with the narrow choices promoted by the USA’s two-party system. You might even say that I feel an element of anger about the way that our government has been operating. Still I cannot abide the vitriol I’ve been hearing from Trump’s supporters — and from the candidate himself. I find my truest and best identity in Jesus, the Christ, who taught us to “Love your neighbor as yourself,” and to even “Love your enemies.” I’m not hearing a lot of love from the Trump Campaign these days. No amount of outsider influence will be able to truly reform the federal government, so I ultimately want to follow Jesus’ lead in examining the political climate of his day and said, “Give back to [the government] what is [the government’s], and to God what is God’s.” As much as I want to get away from the binary, “either / or” way of viewing political spectra, I’m ready to accept the idea that we may be in an “Anyone-but-Trump” situation. My pragmatic perspective is driven primarily by Ohio’s policy for assigning delegates at the Republican National Convention. We’re a “winner take all” state. So even if all four of the Republican candidates were to pull roughly a quarter of the vote: say, 25.2% for Candidate A, 25.1% for Candidate B, 24.9% for Candidate C, and 24.8% for Candidate C — 100% of Ohio’s Convention delegates would be awarded to the candidate with the highest percentage of votes, even if it’s the narrowest of margins (Candidate A, in this hypothetical scenario). Consequently, there’s something to be said for voting for one of the front-runners. Kasich is consistently polling near the top of the field in Ohio, his home state. And while there are elements of the Cruz Campaign and the Rubio Campaign that I can certainly appreciate, I simply don’t expect they will be in the mix for a victory here on Tuesday. My personal perspective is that presidential politics are an exercise in Public Relations as much as they are in policy. Call it cynicism, but my observations suggest that external circumstances — like international conflicts, broader social trends, and economic developments — play a far greater role in defining any administration than the individual on the top of the ticket. I don’t particularly object to Kasich’s policy positions, but more than that I think he may just present the best “face” of American politics to the world for the next four years (at least among the Republicans). I appreciate the way he’s conducted his campaign, up to this point. 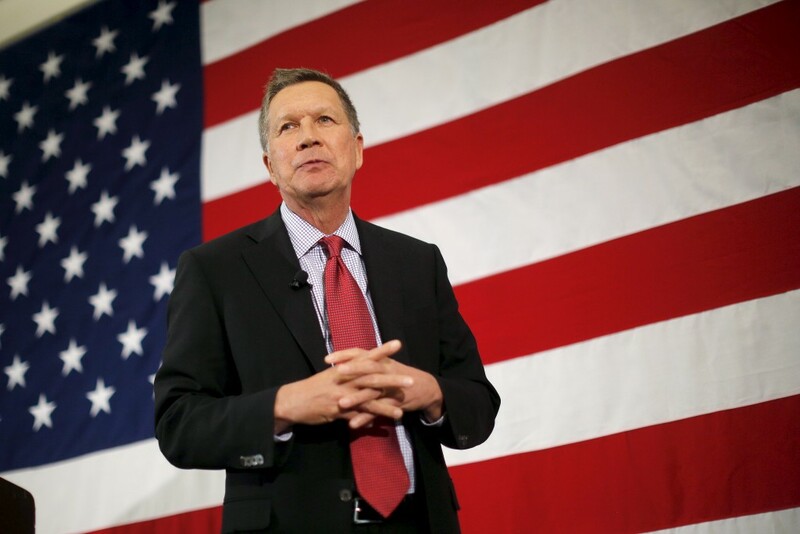 Is there a clear path to the nomination for Kasich? I don’t know. But I’d rather empower Ohio’s delegates to the Republican National Convention to throw their weight behind him, or an eventual compromise candidate who comes closest to his position. That’s why I’m voting for John Kasich on Tuesday, and I would encourage my fellow Ohioans to do the same. This entry was posted in American Politics, Introspection, Leadership, Ohio, Politics, The United States of America. Bookmark the permalink.